Many of today’s social problems—poverty, crime, racism, sexism, drug abuse, unequal access to quality health care or education, threats to the environment, over-population—can seem intractable. 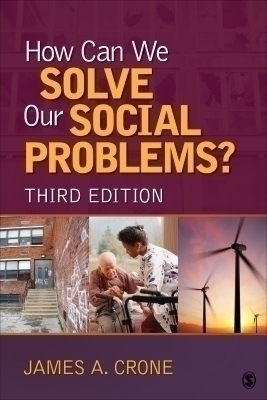 James A. Crone’s How Can We Solve Our Social Problems?, Third Edition is designed to give students studying these types of social problems a sense of hope. Unlike the standard survey texts that focus heavily on the causes and consequences of problems, this book is devoted to analyzing possible solutions. It maintains a sense of sociological objectivity throughout, and without moralizing, describes what could be done in America and on a global scale, through government policies, private sector initiatives, and the collective actions of citizens, to address even our most pervasive social problems.